A patient in the ICU tends to undergo not just physical or physiological, but even psychological stress. However, in the greater scheme of things, only physical and physiological requirements are attended to and mental health is not given enough attention. The patient may hence exhibit symptoms like fear, anxiety, depression, or hallucinations. This is referred to as the “ICU Syndrome.” If you have a relative in the ICU, make sure their psychological parameters are assessed to ensure over all wellbeing. The evaluation may include a medical history before the patient is admitted (this must include the previous and current medications prescribed to the patient as well), the patient’s past or usual ability to cope with stress, current health status, and the surrounding environment. 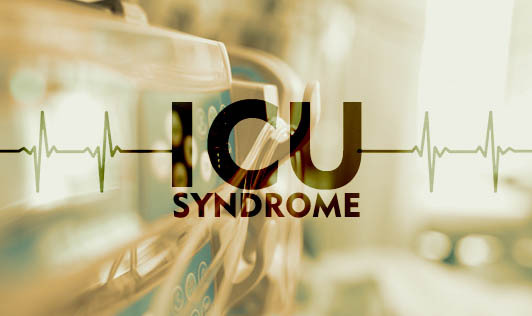 With the help of a thorough assessment, the ICU Syndrome can be prevented, hospital stay can be reduced and recovery can be eased. This can be done by favourably modifying, reducing, or eliminating the potential causative and environmental factors, and by providing the right dose and choice of antipsychotic medications if need be. It goes without saying that an interdisciplinary approach of the patient, his/her family, doctor, nurse, and counselor is extremely important to achieve good health in all domains, physical, physiological, and psychological.